Louis Agha-Mir-Salim is a fourth-year medical student at the University of Southampton. Having paused his medical degree for one year, Louis completed a BSc in Medical Sciences with Management at Imperial College. During his time in London, Louis worked for two digital health start-ups in the field of AI and blockchain. Subsequently, he has acted as participant, international mentor, and workshop facilitator at previous MIT Critical Data datathons and workshops in Singapore, Manila, and London. 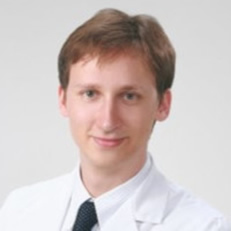 Keith Anthony Boroevich is a research technician in the Laboratory for Medical Science Mathematics at RIKEN Center for Integrative Medical Sciences. He received an M.Sc. from the CIHR/MSFHR Strategic Training Program in Bioinformatics at Simon Fraser University in Canada in 2005. A main focus of his work has been genomic sequencing analysis. As a bioinformatics researcher in the Davidson Research Group at SFU, his primary work was in the integration of the physical and genetic maps of Atlantic salmon and the initial stages of the Atlantic salmon genome project, which was assembled using both traditional Sanger and NGS technology. At RIKEN, he has contributed to the construction and analysis of the first whole genome of a Japanese individual, and as part of the International Cancer Genome Consortium (ICGC), provided analyses of 300 hepatitis B and C virus associated hepatocellular carcinomas (HCCs). Current research interests include the incorporation of multi-omic data and clinical data to predict trends in disease progression and survival. Leo Anthony Celi MD MS MPH has practiced medicine in three continents, giving him broad perspectives in healthcare delivery. As clinical research director and principal research scientist at the MIT Laboratory for Computational Physiology (LCP), and as an attending physician at the Beth Israel Deaconess Medical Center (BIDMC), he brings together clinicians and data scientists to support research using data routinely collected in the process of care. 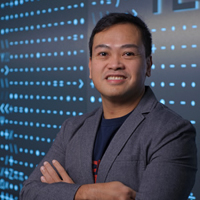 His group built and maintains the public-access Medical Information Mart for Intensive Care (MIMIC) database, which holds clinical data from over 60,000 stays in BIDMC intensive care units (ICU). It is an unparalleled research resource; close to 10,000 investigators from more than 70 countries have free access to the clinical data under a data use agreement. In 2016, LCP partnered with Philips eICU Research Institute to host the eICU database with more than 2 million ICU patients admitted across the United States. Leo is one of the course directors for HST.936 ? global health informatics to improve quality of care, and HST.953 ? collaborative data science in medicine, both at MIT. He is an editor of the textbook for each course, both released under an open access license. The textbook “Secondary Analysis of Electronic Health Records” came out in October 2016 and was downloaded more the 100,000 times in the first year of publication. The massive open online course HST.936x “Global Health Informatics to Improve Quality of Care” was launched under edX in February 2017. Finally, Leo has spoken in more than 25 countries about the value of data in improving health outcomes. 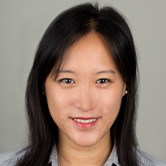 Christina Chen is a practicing physician with board certifications in Internal Medicine and Nephrology. She currently holds a faculty position at Harvard Medical School, practices nephrology at Beth Israel Deaconess Medical Center, and is a Research Scientist at the Laboratory of Computational Physiology at MIT. With her background in engineering and medicine, she is interested in bringing together expertise in medicine and machine learning to improve clinical care. 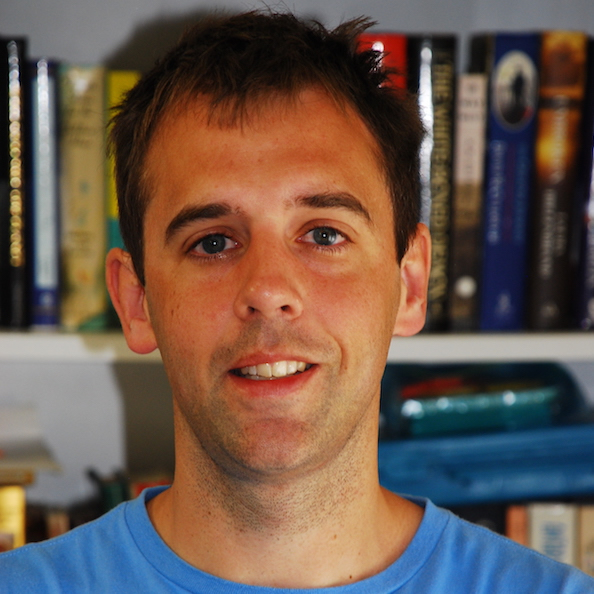 Alex Cook is an Associate Professor in the Saw Swee Hock School of Public Health (SSHSPH) at the National University of Singapore (NUS), where he is also the Vice Dean of Research and the Domain Leader of the Biostatistics and Modelling Domain. He also holds joint appointments at the Duke-NUS Medical School Singapore, at the Department of Statistics and Applied Probability, NUS. He works on infectious disease modelling and statistics, including dengue, influenza and other respiratory pathogens, and on population modelling to assess the effect of evolving demographics on non-communicable diseases such as diabetes. 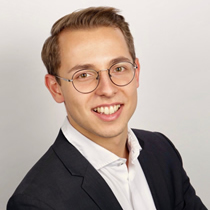 Dan Ebner is a 2019 MPH candidate and Siegrist Family Fellow at Harvard TH Chan School of Public Health, with a concentration in Health Policy and Management. Concurrently, he is a 2020 MD candidate at the Warren Alpert Medical School of Brown University, where he previously served as student body president, and an inaugural Zetema Fellow. 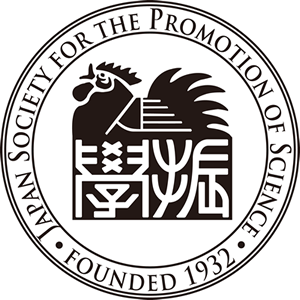 Previously, he has worked as an independent consultant for the Japanese government, as well as performed translational, clinical, and public health research with teams at Kyoto University, the University of Tokyo, and most recently the National Institute of Radiological Sciences in Japan, yielding 30+ publications in the last 3 years. His current focus is on the ethical deployment of artificial intelligence and technological entrepreneurship within the medical field. 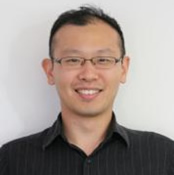 Mengling (Mornin) Feng is currently an Assistant Professor at National University of Singapore with School of Public Health, School of Medicine and School of Computing. He is also the Senior Assistant Director of National University Hospital championing the big data analytics efforts. Dr Feng is also an affiliated scientist with the Lab of Computational Physiology, Harvard-MIT Health Science Technology Division. His research is to develop effective Big Data management and analysis methods to extract actionable knowledge to improve the quality of care. His research brings together concepts and tools across machine learning, optimization, signal processing, statistical causal inference and big data management. In particular, he has been publishing on physiological signal forecasting, modeling of disease progress trajectory, dynamic patient phenotyping, statistical understanding of treatment effects and management of heterogeneous medical big data. Dr. Feng’s work was recognized by both well-established journals, such as Science Translational Medicine, and top international conferences, such as KDD, AAAI and AMIA. 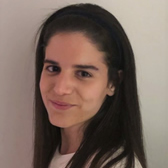 Marta Fernandes is a PhD candidate in Engineering Design and Advanced Manufacturing from MIT Portugal Program, since 2016. She focuses her research in applying Artificial Intelligence (AI) to healthcare data from the Emergency Department and Intensive Care Unit of Portuguese and US hospitals. Marta is a MSc in Mechanical Engineering and she has also done research in the fields of water management, wave energy and natural gas using AI. She has a keen interest in the development of innovative AI solutions to solve the world's most challenging problems. Satoru Hashimoto is a director of Intensive Care Medicine at the university hospital of Kyoto Prefectural University of Medicine. He is an intensivist and at the same time contributing to hospital information technology. He also organized JIPAD (Japanese Intensive Care Patients Database) project as a leader. 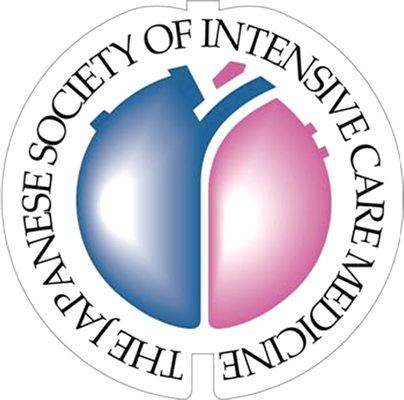 JIPAD is currently sponsored by Japanese Society of Intensive Care Medicine and now recruiting more than 50 ICUs in Japan and 150 more ICUs will participate this project soon. The project is collaborating with and backed up by ANZICS CORE and MIMIC III. Naoaki (Nao) Ichihara is an Assistant Professor at Department of Healthcare Quality Assessment, University of Tokyo (UT). He practiced as an invasive/non-invasive cardiologist at Kameda Medical Center and Yokohama City University (YCU) Hospital. Received Ph.D. at YCU Graduate School of Medicine and Master of Public Health (MPH) at Harvard T. H. Chan School of Public Health. Worked for Harvard University Health Services as a Data Analysist/Project Manager. Participated in development of a smartphone app for engaging patients to improve safety of care at Brigham and Women’s Hospital. Worked for OpenClinica, LLC., a company that produces an open-source software for clinical trials, as a Senior Business Analyst. At UT, he is involved in statistical analysis for clinical research, health services research, management of clinical registries, development of software tools for analysis, along with education of students. Serves as an external consultant on development and analysis of JIPAD. Also serves as an external consultant on health IT planning at YCU Medical Center. Euma Ishii is an MD-PhD candidate at the Tokyo Medical and Dental University. He believes the marriage between health systems strengthening and data-backed technology is key for realizing a world without inequality or poverty. He has experience ranging from chemotherapeutic simulation modeling to drafting global health policy proposals, but has found his calling as a potential liaison between Japan and the world, specifically to improve healthcare systems. His goal in life is to realize a world where all have basic human rights and can make a living doing what they love. As an affiliate of MIT's Laboratory for Computational Physiology, he performs retrospective cohort studies and applies predictive approaches for improving patient care. In his spare time, he works to facilitate international partnerships, and is currently setting up the Japan branch of Global Citizen, a movement of engaged citizens using their collective voice to end extreme poverty by 2030. 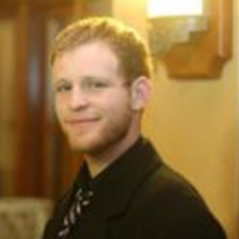 Aaron Kaufman is a PhD candidate in Political Methodology and American Politics at Harvard University. His research interests leverage cutting-edge methods in computer science and causal inference to answer substantive questions about public opinion, voting patterns, and elite behavior. He produces open-source tools to help survey researchers conduct more efficient and unbiased research. He is committed to research transparency and open science. 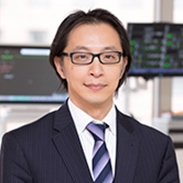 Satoshi Kimura is a board-certified physician in anesthesiology and critical care medicine, trained in Aso Iizuka Hospital and Okayama University Hospital, Japan. He completed a clinical research fellowship education in the Ohio State University Wexner Medical Center. He is currently a Master of Public Health student at Harvard T.H. 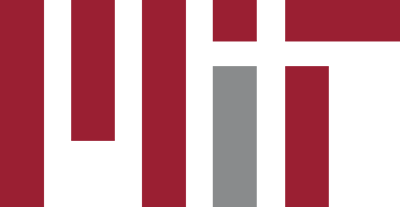 Chan School of Public Health and cross-registered at Massachusetts Institute of Technology in order to learn epidemiology, biostatistics, and data science, manipulating big data for clinical research. His research interests include Stewart approach and traditional approach for acid-base disorders, electrolytes analyses in intensive care units, and perioperative neuromuscular monitoring and intensive care unit-acquired weakness. 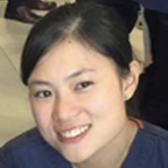 Stephanie Ko is a Senior Resident in Advanced Internal Medicine at the National University Hospital in Singapore. After completing her medical education in the UK, she returned to clinical practice in Singapore, followed by a Masters of Public Health at the Harvard School of Public Health in 201. Her interests lie in improving the quality of healthcare delivered in Singapore and the region through the combination of health data analytics and exploring different models of care. 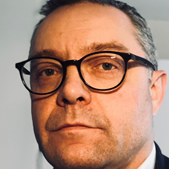 Matthieu Komorowski is an associate professor at Imperial College London and a practicing clinician, holding full board certification in anesthesiology and critical care in both France and the UK. He completed a PhD in Medicine and Bioengineering at Imperial College London, during which he was a visiting scholar at the Massachusetts Institute of Technology and an affiliate of Harvard University where he taught artificial intelligence in healthcare. 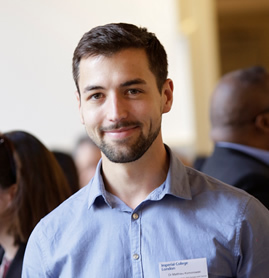 His work on reinforcement learning applied to sepsis resuscitation was awarded the first prize of Research and Innovation by the British Royal Society of Medicine and was recently published in Nature Medicine. 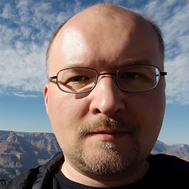 Artem Lysenko received his PhD from University of Nottingham in 2012. 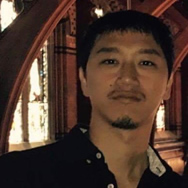 After that he has worked as bioinformatics scientist at Rothamsted Research (UK) and research associate at the National Heart and Lung Institute, Imperial College London before joining Laboratory for Medical Science Mathematics at RIKEN in 2015. 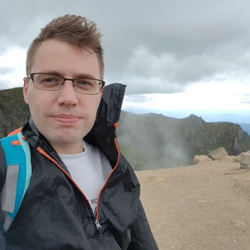 His current work is primarily in the area of biomedical data science with particular focus on machine learning methods, multiomics and analysis of biological networks. Fumihiro Maruyama joined Fujitsu Laboratories Ltd. in 1978, where he has been engaged in R&D of CAD, AI, software agent technologies, and CRM solutions. 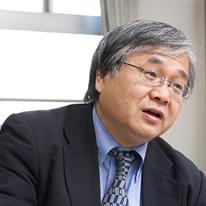 He was Managing Director of Fujitsu Laboratories of Europe, UK from 2008 to 2012. He has a B.S. degree in mathematical engineering and a Dr. of Engineering degree in information engineering, both from the University of Tokyo. He received the IPSJ (Information Processing Society of Japan) 20th Anniversary Best Paper Award in 1980 and the Prof. Motooka Commemorative Award in 1988. He is a senior member of both IPSJ and IEICE (Institute of Electronics, Information and Communication Engineers of Japan). 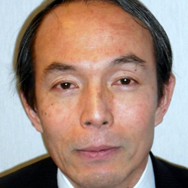 He is also a member of IEEE, JSAI (Japanese Society for AI), and the Society for Serviceology. He was vice president of JSAI from 2013 to 2015. He is a national guide certified by the Japanese Government. 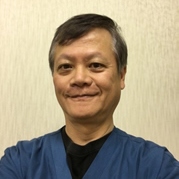 Haruki Harry Matsumoto M.D. M.P.H. is currently serving as Deputy Director of Regional Health Plan Department, Health Policy Bureau, the Ministry of Health, Labour and Welfare, Japan. After graduating from Chiba University Medical School (Japan) in 2006, he worked for suburban and rural hospitals as a physician. He then joined the Ministry of Health, Labour and Welfare in 2009, and has been assigned to a wide variety of projects in maternity and child health, advocacy, R&D, tube‐feeding, and introducing health technology assessment into the Japanese Healthcare system. Before coming to Harvard, he was involved in project planning to reform Japan’s healthcare providing system by 2025, to address issues related to the country’s rapidly aging society. He graduated from Harvard T.H. Chan School of Public Health, Masters of Public Health in Health Policy in 2018. Kee Yuan Ngiam is the CTO of the National University Health System. He is also a Consultant General Surgeon specialising in Thyroid and Endocrine surgical disorders. Following the completion of his Advanced Specialist Training in General Surgery, he was awarded a fellowship from the Royal College of Surgeons of Edinburgh and was accredited as a surgical specialist by the Specialist Accreditation Board, Singapore. 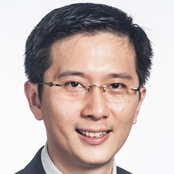 He is concurrently the Deputy Chief Medical Informatics Officer at the National University Health System and Director of Surgical Research and Development at the Department of Surgery, School of Medicine, National University of Singapore. Dr Ngiam’s special interests are in thyroid and endocrine surgery, robotic thyroid surgery, bariatric and metabolic surgery as well as machine learning in clinical informatics. David Pilcher is an Intensive Care Specialist at The Alfred Hospital in Melbourne. He trained in respiratory and general medicine in the UK before moving to Australia in 2002 to undertake training in Intensive Care Medicine. His interests include organ donation, lung transplantation, ECMO, severity adjustment of ICU outcomes, ICU performance monitoring and the epidemiology of Intensive Care medicine. He is the Director of the ANZICS Adult Patient Database and a medical advisor to DonateLife in Victoria. He is also an Adjunct Clinical Professor with the Department of Epidemiology and Preventive Medicine at Monash University. 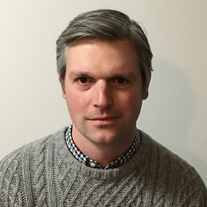 Tom Pollard earned his PhD in biomedical engineering at University College London and University College London Hospitals (UCLH) where he obtained focused experience in the intensive care environment and computational modelling of patient physiology. He is currently a full time Research Scientist at MIT. He is expert in the development, support, and analysis of critical care databases, including MIMIC and the recently released eICU Collaborative Research Database. He conducts retrospective studies in collaboration with clinical specialists, develops and supports critical care databases that are widely used around the world in research and education, and he has created software used by hundreds of researchers and students internationally. Tom has a broad interest in how we can improve the way that critical care data is managed, shared, and analyzed for the benefit of patients. He is a Fellow of the Software Sustainability Institute. Masamitsu Sanui is Professor and Chair, Department of Clinical Surgery, Director, Division of Anesthesiology and Critical Care Medicine, Vice-President, Jichi Medical University Saitama Medical Center. He completed his residency and fellowship education in anesthesiology and critical care medicine at University of Miami Miller School of Medicine in USA. He was ex-Chair of the Executive Board of the Japanese Society of Education for Physicians and Trainees in Intensive Care (JSEPTIC) and the President of JSEPTIC Clinical Trial Group. His research interests include tele-medicine, clinical application of medical informatics, cardiovascular monitoring, ventilator management, and delirium. Hidenobu Shigemitsu is professor and chair of the department of Intensive Care Medicine at Tokyo Medical and Dental University. He also oversees the advancement of global initiatives and partnerships as the deputy chief of the Institute of Global Affairs at Tokyo Medical and Dental University. He completed his fellowship education in critical care medicine and pulmonary medicine at Stanford University School of Medicine. He held leadership positions at several institutions in the United States including professor and chief at University of Nevada School of Medicine prior to his current position. His research interests include patient care system implementation and development of database in ICU. Qualified originally in the UK, Shawn Sturland trained in Anaesthesia and Intensive Care Medicine in Australiasia. 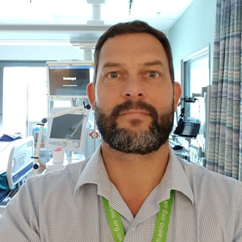 He has practised as a Specialist Intensivist at Wellington Regional Hospital ICU for twelve years, with six years as Medical Director. Alongside clinical practice, he is now the Clinical Executive Director for Quality Improvement and Patient Safety at Capital and Coast District Health Board. His interested are in using data for quality and systems improvement. Hiroshi Tanaka is a special advisor and specially appointed professor at Tohoku Medical Megabank Organization at Tohoku University and a specially appointed professor at Tokyo Medical and Dental University. He is the leading expert in data related innovation in Japan and heads the doctoral program for Data-Related InnoVation Expert Program at Tokyo Medical and Dental University. 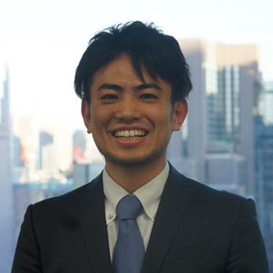 Shingo Tsuji is currently an assistant professor at Research Center for Advanced Science and Technology (RCAST), The University of Tokyo. He has been working on multi-omics data analysis for cancer research and also clinical information. His book titled Python Start Book (in Japanese) is one of the best seller book for introducing Python language. He also hosted online lecture course for Python data science at Udemy. 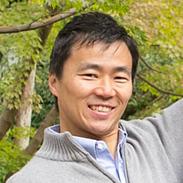 Currently, his research focus is on network embedding, which is a fusion technique of complex network science and dimensionality reduction. 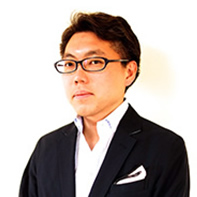 Ryo Uchimido is a research fellow at the Department of Emergency Medicine, Beth Israel Deaconess Medical Center. He received his medical degree, and completed his residency in Emergency Medicine in Japan. He received the degree of Master of Public Health at Harvard T. H. Chan School of Public Health. His research interest includes 1) Clinical machine learning to resolve important clinical issues in intensive care unit and emergency room (e.g. predicting blood pressure response to fluid bolus therapy in septic patients with RNN/LSTM, 2) Applying machine learning algorithms to translational research for identifying novel biomarkers in sepsis (e.g. investigating the association of glycocalyx components degradation with diagnosis, prognosis and therapeutic effect in sepsis and 3) Bioinformatics to discover novel underlying pathological mechanisms/networks in sepsis (e.g. Transcriptomics, Metabolomics, System biology). Adrian Velasquez MD MPH is the Medical Director of the Intensive Care Unit for Newport Hospital. He is also a Clinical Assistant Professor at the Alpert School of Medicine at Brown University. His Master of Public Health from The Dartmouth Institute was focused on quality improvement, healthcare administration and health care finance. His research interests have included clinical informatics, which he worked on at the Laboratory of Computational Physiology in MIT. He has been the lead in various quality improvement projects using electronic health records. 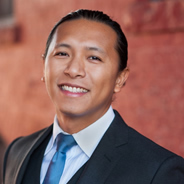 Adrian is Board Certified in Internal Medicine, Critical Care Medicine, Sleep Medicine and Preventive Medicine/General Public Health. He uses his Lean Six Sigma Greenbelt Certification to help him better apply improvement projects to the healthcare industry. Dr Velasquez's leadership roles at his Institution include acting as a member of the Board of Trustees. He is also part of leadership committees in the American Thoracic Society and American Academy of Sleep Medicine. Dr. Velasquez also runs a solo healthcare consulting practice. 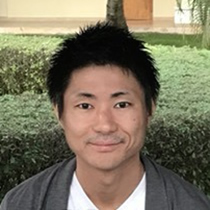 Kenji Wakabayashi is a clinician scientist who is currently a senior assistant professor at the Department of Intensive Care Medicine at Tokyo Medical and Dental University (TMDU). Having worked as a pediatrician in Japan, Kenji fulfilled his PhD at Imperial College London where he subsequently conducted a pre-clinical trial regarding to a novel therapeutic strategy for Acute Respiratory Distress Syndrome (ARDS). 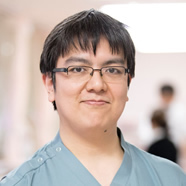 He returned to Japan in 2013 to further pursue a career as a clinician scientist and he is now developing a unique translational research program in critical care while working as a qualified intensivist. His main research interest is the mechanisms of critical illness including lung injury in both children and adults, ECMO, and multiple organ dysfunction syndrome. 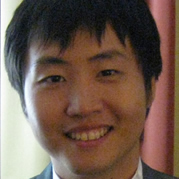 Wei-Hung Weng is a PhD graduate at MIT EECS and Computer Science and Artificial Intelligence Laboratory. Prior to MIT, he received an MMSc degree in Biomedical Informatics from Harvard Medical School/Massachusetts General Hospital and MD from Chang Gung University. He also worked as a physician and pathologist in Taiwan for years. His research focuses on creating and applying machine learning algorithms for multimodal representation learning and reinforcement learning toward better clinical decision making.